If you don’t live in a large, secluded house in the country – and most of us these days certainly don’t – then when you play your guitar through your amp at home, chances are that multiple neighbors are going to hear you. Even if you really rock, this can be a bad thing, so here are a few ways you can get the most of your home practice time without offending everybody on your street! A couple of months ago, we wrote about all the things you can do to improve the place where you practice guitar (read that post here, if you missed it first time round!). Now you’ve had time to do just that – you’ve found a nice secluded spot, removed any distractions, and got in all the necessary bits to make learning as easy as possible – we’re hoping your practices are going swimmingly, and that you’re improving your fretboard skills like never before. But the more you get into your practice, the more excited and inspired you’re going to be. If you’re anything like us, that means you’re probably just itching to turn your amp up to 11 and rock out! But, in these days of paper-thin apartment walls and blocks of flats with hundreds of people literally living meters away from you, that’s not an option – unless, of course, you want to start fights with the old people downstairs. Happily, though, there are numerous ways around this predicament. The first thing you can do is look at your home setup. Do you really need that 100-watt tube amp for bedroom playing? Sadly, the answer is no (we’re assuming here that you don’t sleep on the stage in a stadium somewhere). If you absolutely must play through a full stack at all times, then a dedicated practice room – at a dedicated rehearsal complex, where being loud is practically a requirement – is the way to go. Contrary to what others might have you believe, you do not need a massive amp to play with at home! There are plenty of great little amps out there that sound wonderful at living room levels, and some – like the one in the picture – even give you the option of quietening down using a power soak. Otherwise, why not get a smaller amp, or a second one for playing at home? There are many small amps with big tones out there these days, tube or solid state, and they’ll make you sound full and creamy even at living room levels. Many amp makers are aware of the issues their players face, and are working towards solutions for problems like this. You might be able to get hold of the exact lunchbox version of your favorite face-melter, if you’re lucky. There are plenty of five, 10 and 20-watt amps out there these days, and another benefit is that most of them will take up far less space in your home. But if you still can’t resist a big rig, there are options out there. One of the most obvious is the power soak, which allows you to cut the power of your amp down to acceptable levels. Some will even let you go down to 0 Watts for silent recording! This brings us to subject of computers. Plugins and DAWs are now ubiquitous among home musicians, and if you’ve got decent speakers, you can get great tones straight from your Mac, PC or tablet. Plus, we can pretty much guarantee they’ll offer you a wider variety of sounds than your amp does, even if you play a modeler! And alright, they might not give you that genuine feel of tubes cooking happily away, but that’s not something you need unless you’re up on stage. Of course, you’ve also got the option of using headphones at home, and one other thing you can do is go all-acoustic. While we wouldn’t really recommend practicing on an unplugged electric – it can get you into bad habits that are only exposed when you plug in again, like not muting strings you’re not playing with your picking hand – a proper, decent acoustic guitar should be in every guitarist’s arsenal anyway. They’re great for practicing, and even though they can get loud too, they’re bound to be more pleasant to the ears of your non-musical neighbors than a fizzing seven-string will be. 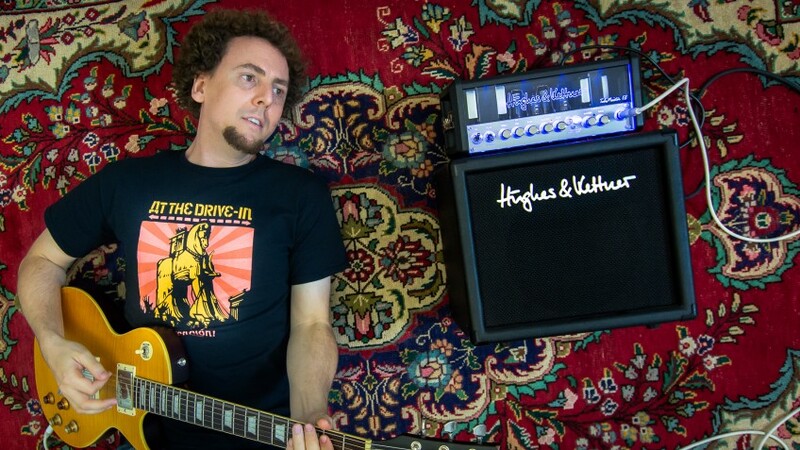 Getting a nice carpet to put under your amp can help muffle the sounds to the outside world – especially the poor people living underneath you! It’s not all about your playing and your setup, though. In fact, a bigger issue for many guitarists who live in cities is noise pollution. This is a two-way problem: you can hear a baby crying two floors above you like it’s right there in the room, but the reason the poor waif’s in tears is probably because you just turned your amp up past 9 o’clock. It’s a catch-22 situation, really, but there are things you can do to lessen the sonic blow without your playing suffering too much. Start by trying to work out how and where the sound is leaking into – and out of – your flat. If you can plug these holes in some way, you’re going to be doing everyone a favor. That might mean putting a draft excluder under your front door (one in the shape of a sausage dog will give you maximum cool points, but the choice is yours!) or closing the curtains and doors while you play. As an aside, when he was a kid, one Roger Taylor used to practice in the family garage. He plastered the walls with egg boxes, which proved to be a really effective solution – and look where Roger ended up! While covering your walls with your old food packaging may not be an option, what you could do is consider getting a thicker carpet to put under your amp. This will help muffle the sounds your downstairs neighbors hear. If you don’t want to splash out, just stick the amp on a chair, or a beer crate, or just get it off the floor in some way, and that’ll have a similar effect. Lastly, go for the simple save. Little practice amps can be quite directional, so just find the best angle to point it so that you hear it loud and clear, but nobody else does! Problem almost solved. If your amp’s causing your downstairs neighbors grief, just getting it off the floor of your apartment can work wonders. 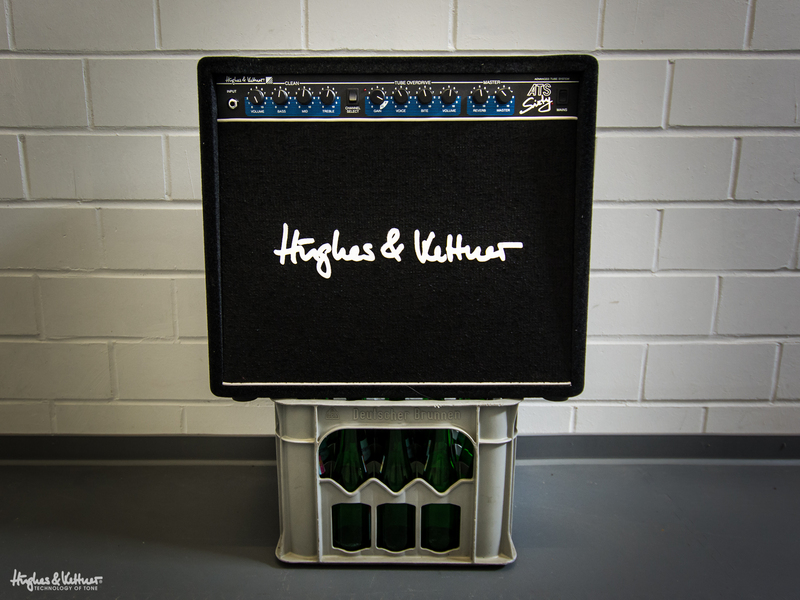 You can buy amp stands that are specifically designed to do the job, but a beer crate works just as well! The one thing you can’t ever budget for is your neighbors, and how they’re going to react to your playing. Whatever you do, chances are there will be some killjoy who complains at you. Usually, it’s the person whose TV is blaring 24/7, which always makes the situation somewhat ironic, but it’s best to stay polite and friendly at all times if you can. Maybe there are compromises you can make if there are tetchy folks about. Agreeing to play no later than a certain time on weekday evenings, for example, can be a painless solution for everybody. If you’re nice person, of course, you probably already respect things like this, but there are some players who seem to genuinely believe they’re playing to 50,000 people in their bedroom at 11:30pm on a Tuesday. If that’s you, then maybe you should be thinking about changing the way you go about things slightly – or just get that aforementioned rehearsal room where you can crank up any time. It’s one thing wanting to enjoy the best practice time and tone you can, but it’s another to turn all the way up with no consideration for what those people living around you might think. Rock and roll? Not really, but that’s life – or at least, that’s your neighbors’ lives. Well, we hope these tips have given you a little food for thought about how you can enjoy playing at home without keeping the whole block awake. We’d love to hear if any of you have any other tips to share, or if you’ve ever fallen foul to angry neighbors who did their best to stop you making music. What happened, and how did you manage it? And lastly, let’s all be happy that although we’re often getting told to turn down by our nearest and dearest, at least we’re not drummers! First published: September 12 2014. Most recent update: November 27 2015. Unfortunately, the egg box thing is a total urban myth. They make absolutely zero difference to the ampunt of sound exiting or entering a room. They are, however, somewhat helpful in taming flutter echo inside a room but some simple DIY mineral wool broadband absorbers work much better. Unforunately, the only thing that reduces sound transfer is air tight seals and mass, mass and more mass. Hey! Interesting article, thanks for the tips 🙂 I live in an apartment and just bought a 30 watt Marshall which I was playing today. I was so stoked about the sound after taking a break form electric guitar for a long time and even wrote a new song! I had it pretty loud at one point but there were no noise complaints. My friend enjoyed the music, however my plan, so as not to aggravate the neighbours, is to use my headphones if I am practicing on my own and save the high volume (it’s loud for a small amp!) for future gigs. It was my first day with it, so I couldn’t help but wanna rock out a bit 🙂 The interesting thing that I picked up from this article is that indeed the sound from the amp can be lessened if it’s put on something that in a way absorbs some of the sound, instead of having it on the floor. I gotta keep the peace while the goins good. Happy playing and thanks for the interesting article! But for quieter practice, headphones will certainly keep the neighbors happy. And yes, it’s always worth experimenting with the amp’s placement. 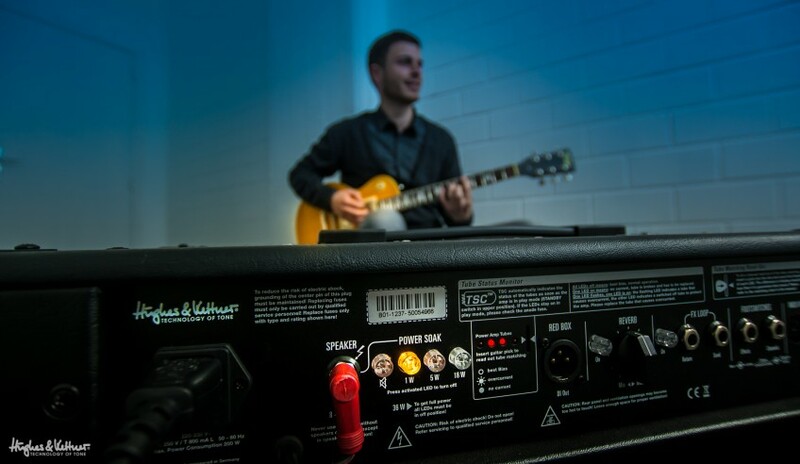 Combo amps in particular can be very directional in their sound, so if you have the amp pointing directly at your ears, you’ll be able to have the volume lower, saving everybody else (at least to a certain extent!). Thanks for the kind words, and enjoy your playing! 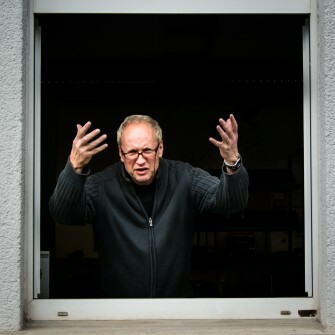 Can somebody give us suggestions about how to soundproof a room on an amateur basis? Would foam rubber mattresses over the big windows do the trick? How effective are curtains covering all the walls? Please confirm if is is ok to plug headphones into the “line out” at the back of the Grandmeister 36, in order to practice without disturbing those in the same room. Should I also switch on the “mute” at the same time. ? Hi Denoon. Unfortunately you can’t plug headphones in directly – you’ll need a headphone amp, or a small mixer/audio interface and DAW to do that. Is 1 watt even too loud when you turn down the amp’s Master Volume knob? Because that’s going to get pretty quiet, even with good tones! What is the best way to listen w/ headphones using Tubemeister 18? Can I drive phones straight from red box interface? Hi there J.! No, unfortunately using headphones directly is not an option. You’ll need to hook the TM18 up to an interface, or a mixer, or even get a headphone preamp to listen though phones. Really like your article ..well said to ..you can get a massive sound at bedroom level for practising ..love this new technology on these new age amps ..they sound great ..espessally for recording ..used a Fender 15″watt G Deck for my New Album ..Spaghetti Salford ..www.guitartony.co.com and computer soft wear ..miked up amp though,..some direct line to ..Love a cranked up valve amp ..but that’s for stage .. Great stuff ..
blogs have been great so far. As a proud owner of a Grandmeister…..how about a blog from one of your pro’s on how best to dial in tones from scratch…..
Headphone jacks on the Grand Meister would have been nice. Mike, in hindsight you’re absolutely right. Something to look at for next time, that’s for sure. Thanks for reading the blog!